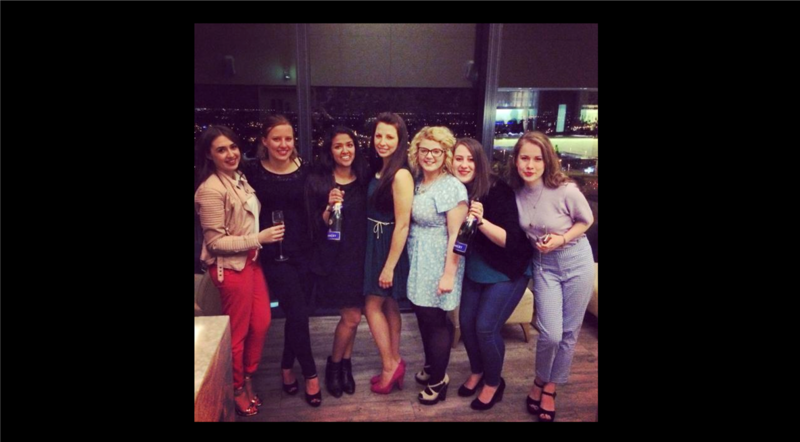 A few weeks ago it was my friend's 20th and she'd booked a table at the Hilton for drinks and told us to dress up (I didn't realise that the Hilton was Cloud 23 in Manchester where I've always wanted to go otherwise I'd have dressed up more!) 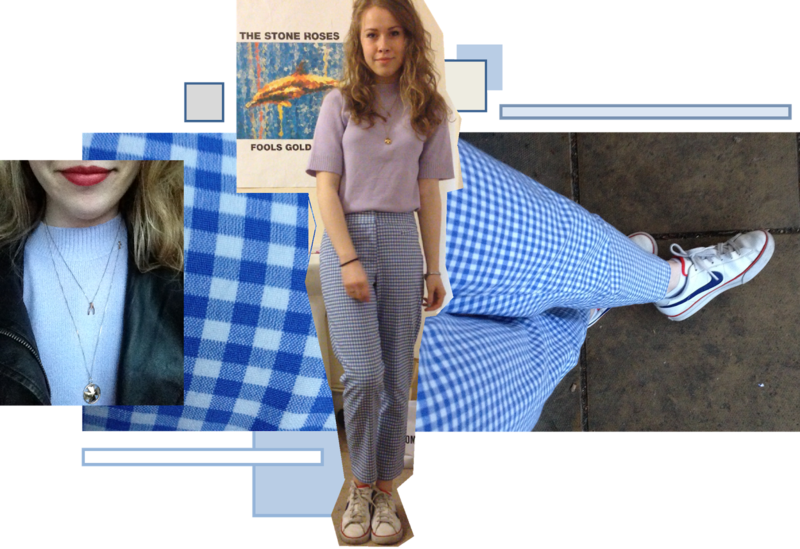 So my daytime outfit was comprised of an old gem - Matalan gingham trousers from last summer which I'm so glad I didn't throw out, I think I bagged them for £6, they fit so well and are a perfect, lightweight summer pants option! I paired them with my new missguided pastel purple short sleeve high neck jumper which I absolutely love, and at around £14 it was an absolute steal. I am definitely contemplating getting this in another colour when payday rears its head. From wearing this item in the day to night I literally just changed my footwear from some trustry vintage Nikes to comfy black wedges and slapped some lippy on! What do you think of this outfit? 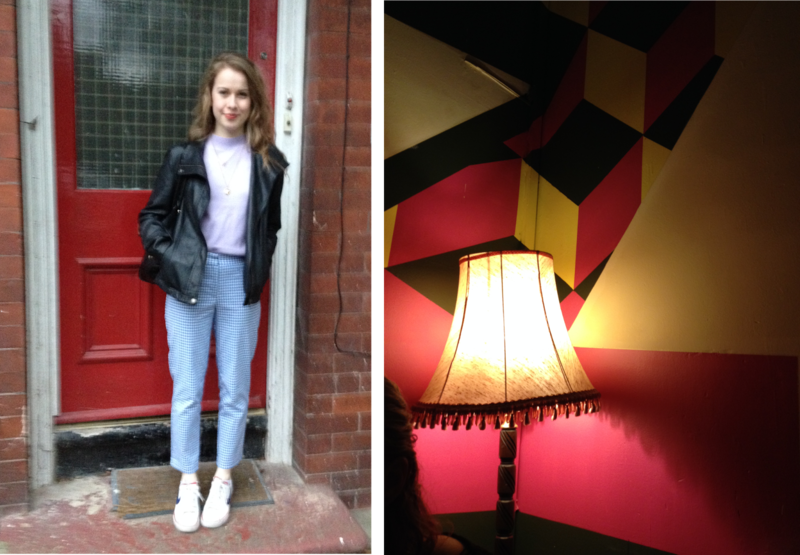 Are you as hooked on the gingham trend as I am? 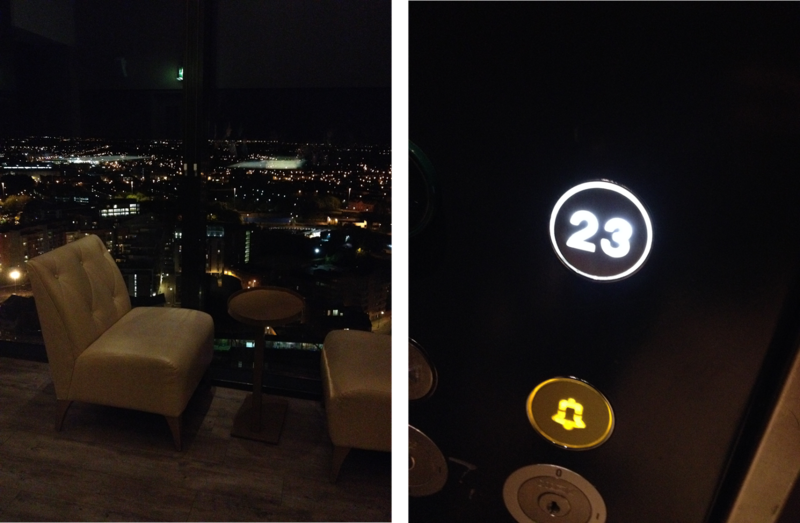 Cloud 23 was so picturesque and beautiful, I would love to go back in the daytime; definitely a perfect go to for a date or special occasion! 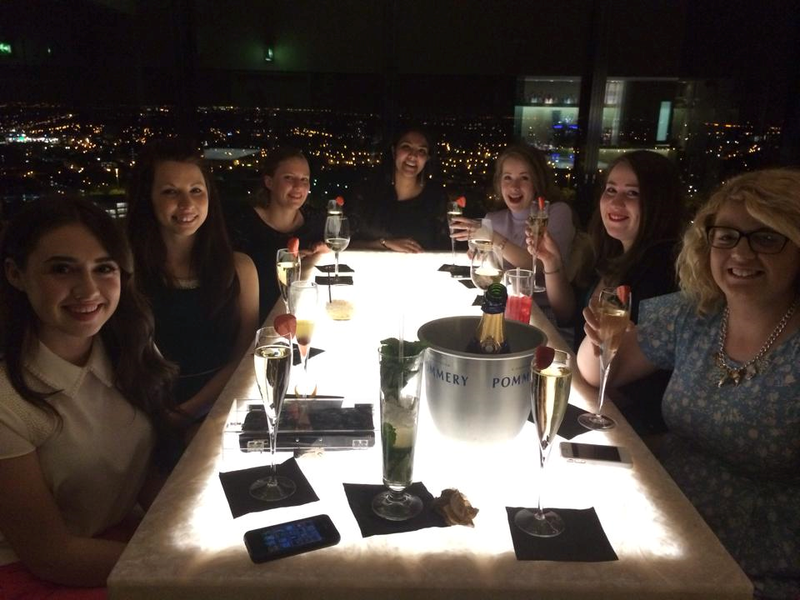 We had such a lovely evening despite the sky high drinks prices. It panned out slightly strangely though with some part owners of Hull City football club buying us a few bottles of champers but we weren't complaining! looks like a wonderful night out! such cute bottoms!